Popping originated in the 1970s in the USA. 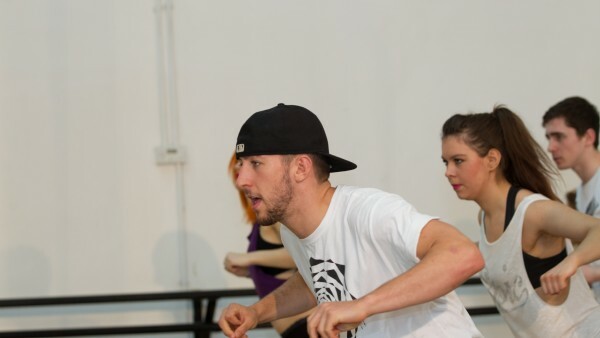 Popping influences other dances, such as Street Dance and Hip Hop. There is also cross-referencing with Locking, as Popping is quite a jerky, robotic style of dance. However, Popping is slightly more fluid as the moves aren’t accented with a long freeze or halt. Why do we teach Popping? Popping involves learning explosive contractions and relaxation of various muscle groups. In time, and with practice, Popping can be integrated with specific arm, neck, leg, and chest pops. There is crossover with Hip Hop and Street Dance, and knowing the principles of Popping adds an important element to the repertoire of any self-respecting commercial dancer. The skilled commercial dancer needs to know Popping, as it is one of the cornerstones of Street Dance. One of the more basic Popping moves, the Walk Out is a transitional move between two points. It involves angular movement of the shoulders, left or right, with contrasting leg moves as if walking out. The Fresno is a fundamental Popping move invented by Boogaloo Sam. Moving on the beat, legs and arms move in sync, left to right. It requires considerable practice to get the Fresno perfect. The Neck O’Flex is a great Popping move that when done well, looks as though your head is isolated from the rest of your body. The neck and head lead, with the legs and body following, as you rotate through 360 degrees. If you love the idea of Popping your way into the commercial dance industry and fancy a little chat with Angela, our friendly Course Director, before you apply, please get in touch on 0207 118 1818.